The new version, Linux Lite 3.4, simplifies scheduling of software updates, installing third-party drivers and creating a restore point for the OS. Meanwhile, the new Lite Updates Notify application informs the user of all available updates. Users can set update reminders anywhere from once every hour to every three weeks. 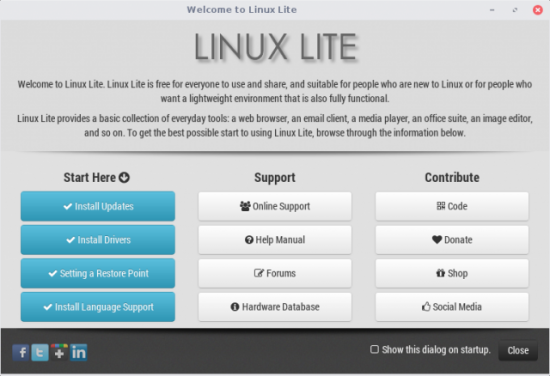 The updated Lite Welcome has a fresh new look and reminds users to install updates and drivers and sets a restore point after a fresh install of Linux Lite. Other new features in Lite Tweaks include Hibernate & Suspend, Login & Logout options, Manage Saved Sessions and zRam. zRam is a compressed RAM block device for faster I/O and is perfect for older computers.